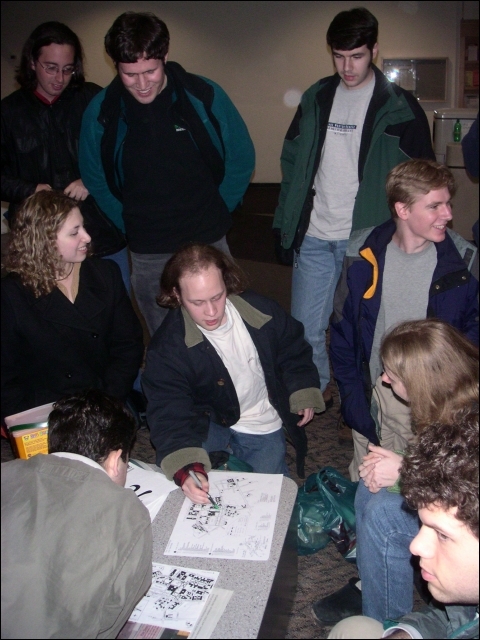 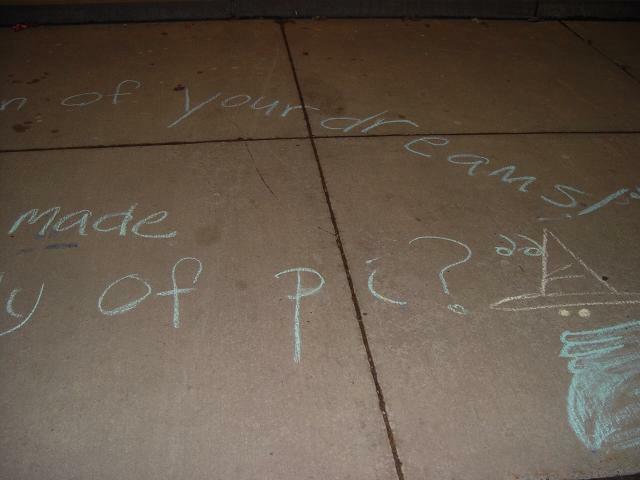 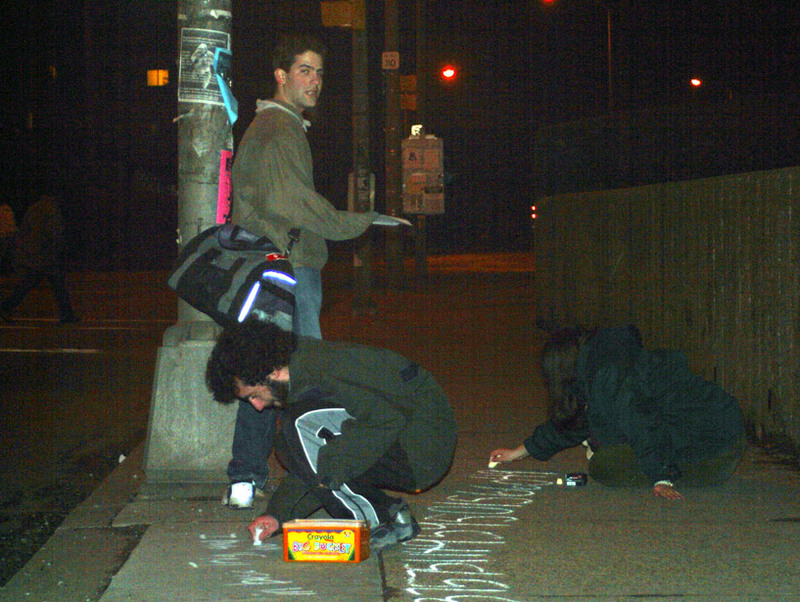 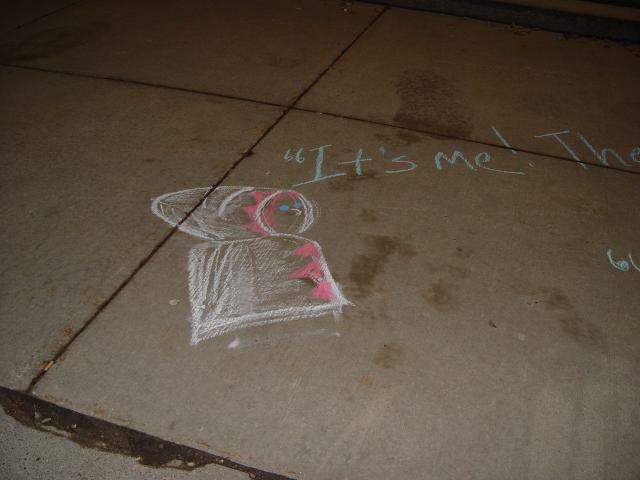 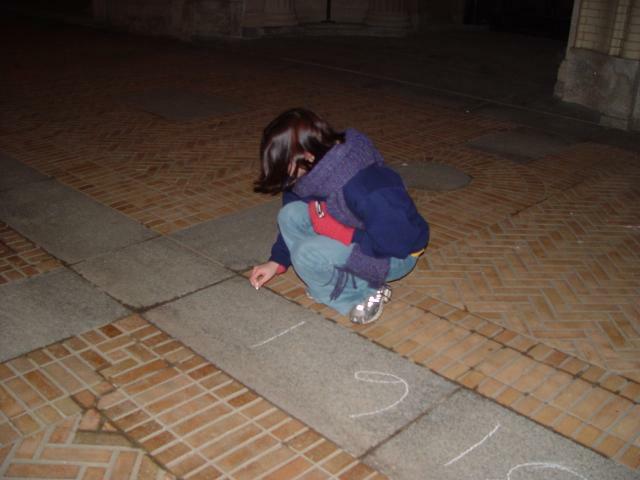 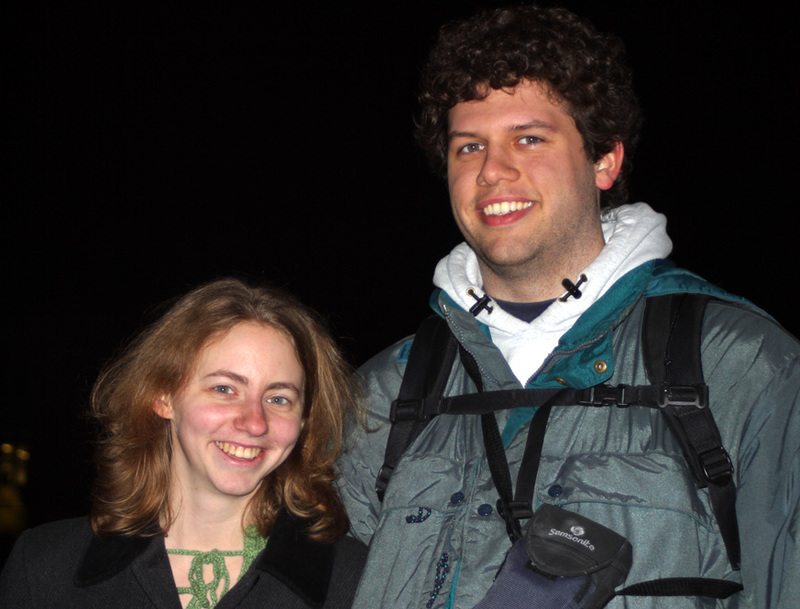 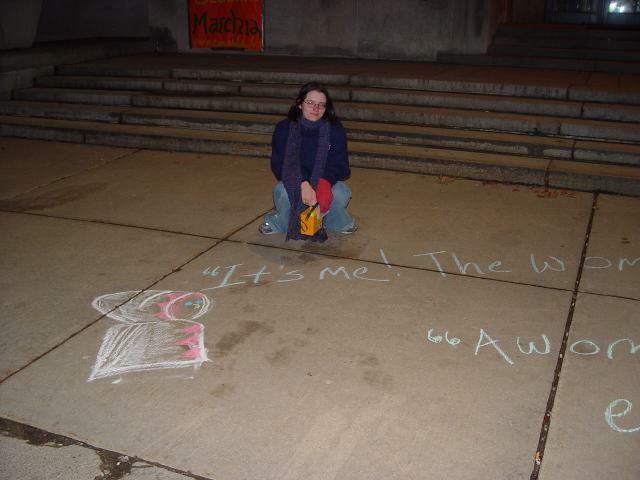 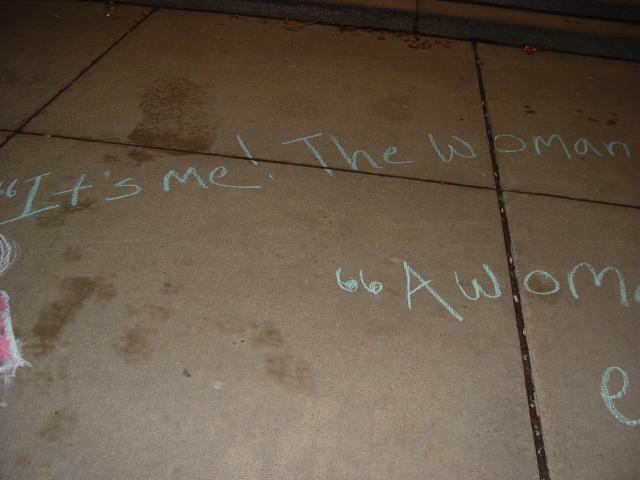 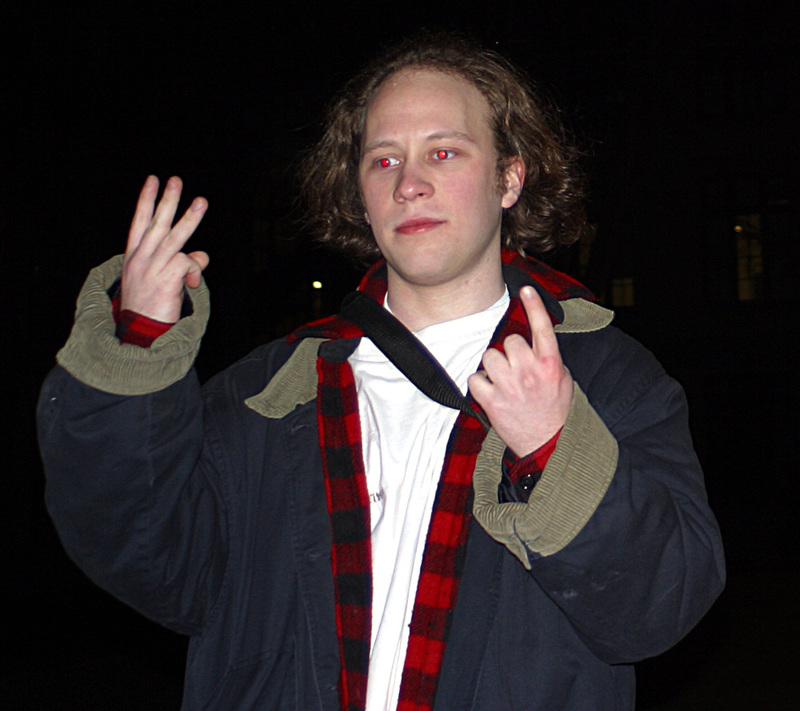 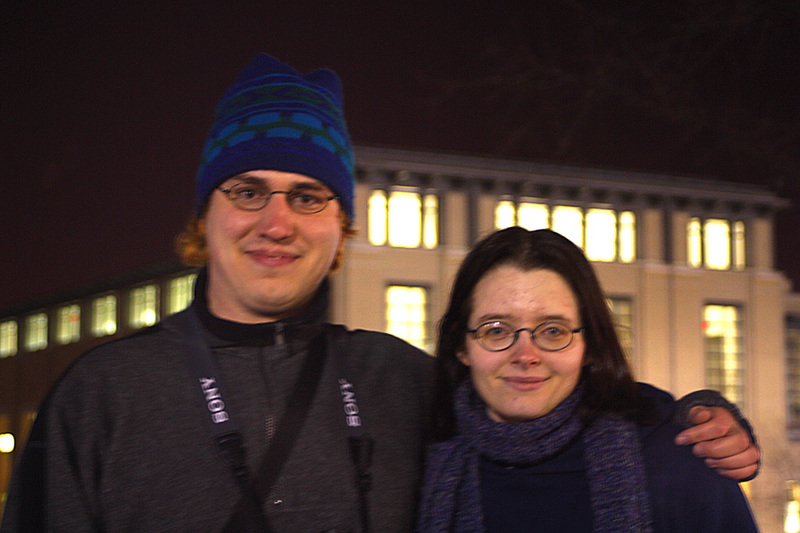 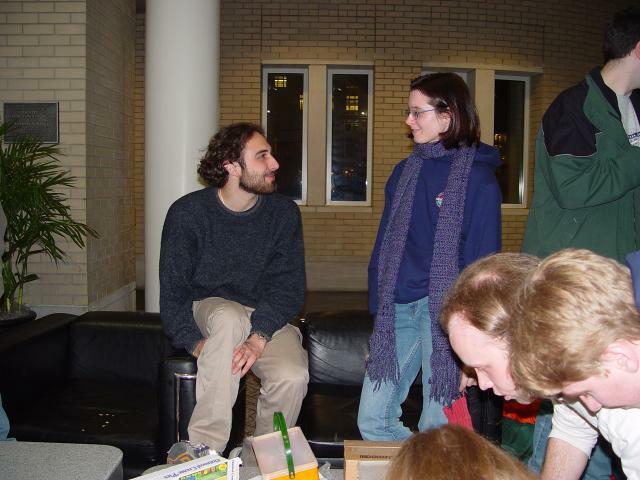 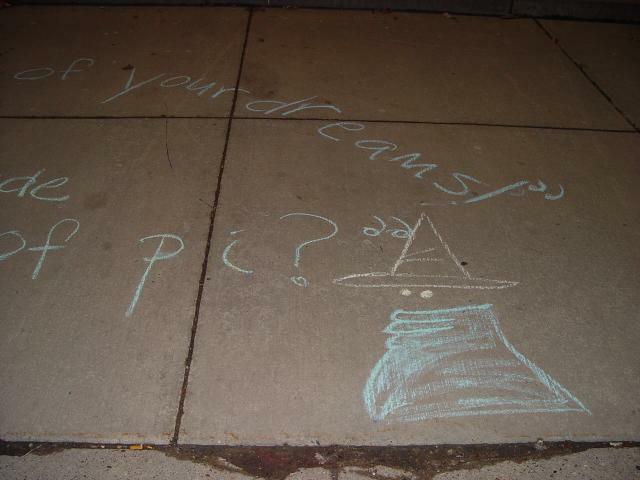 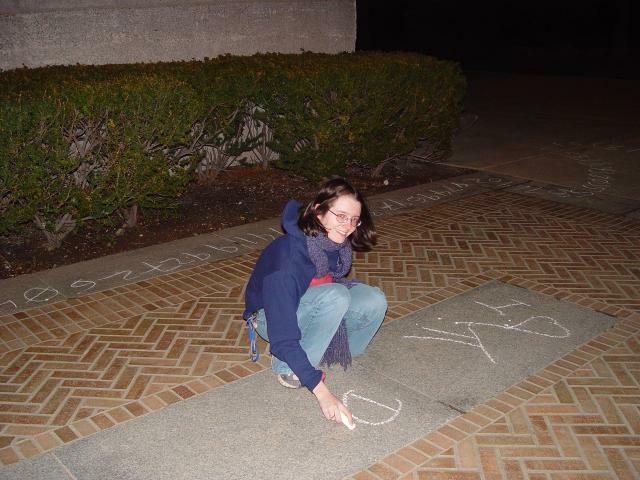 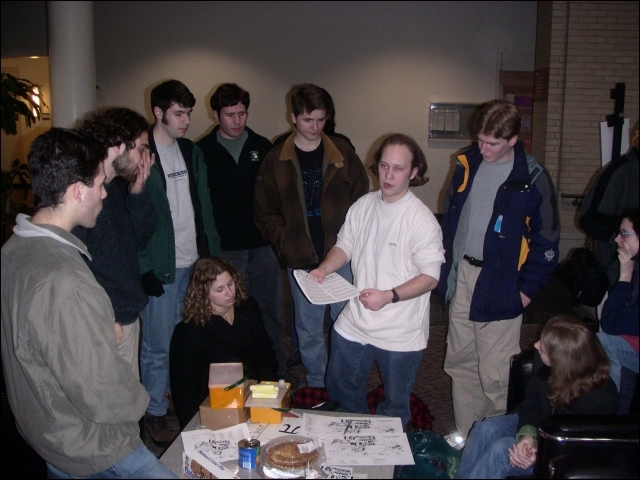 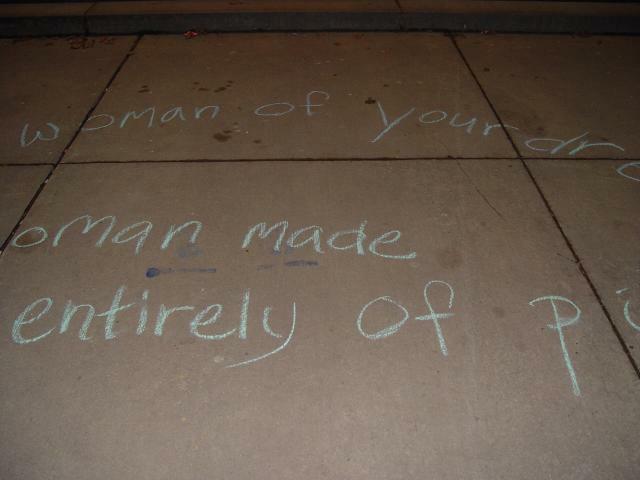 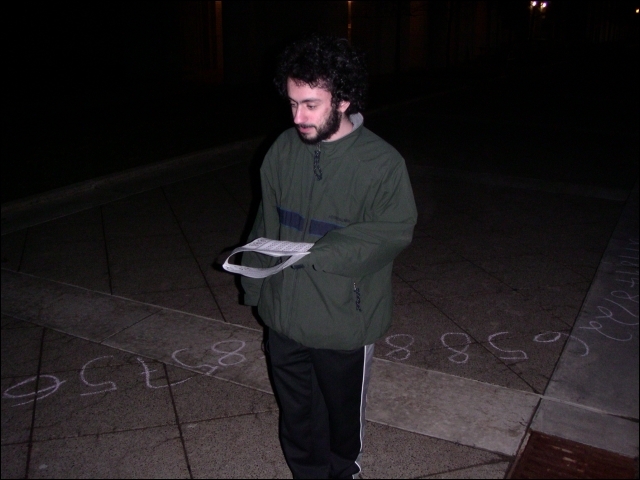 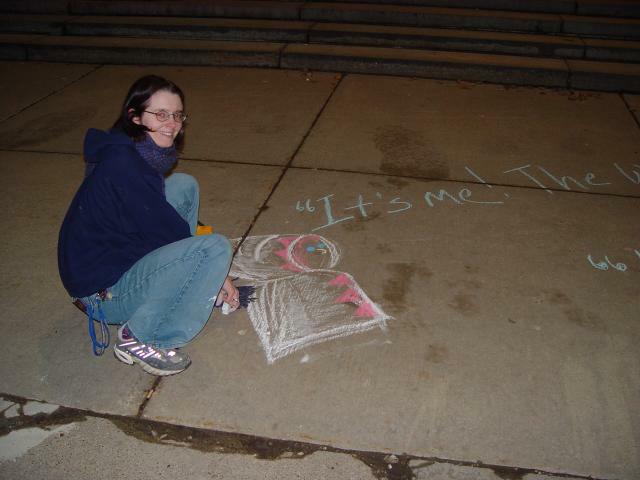 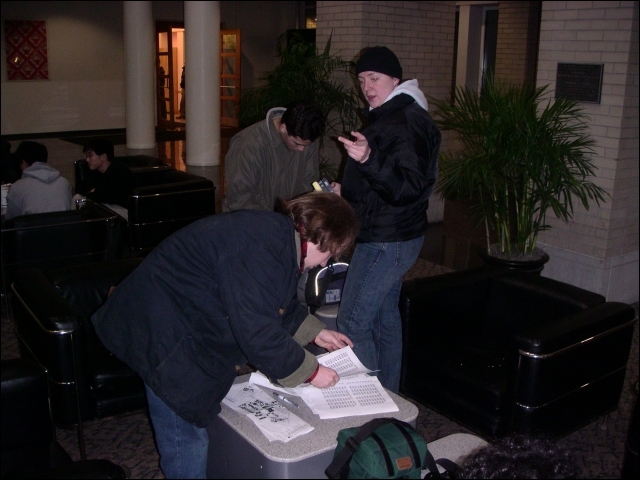 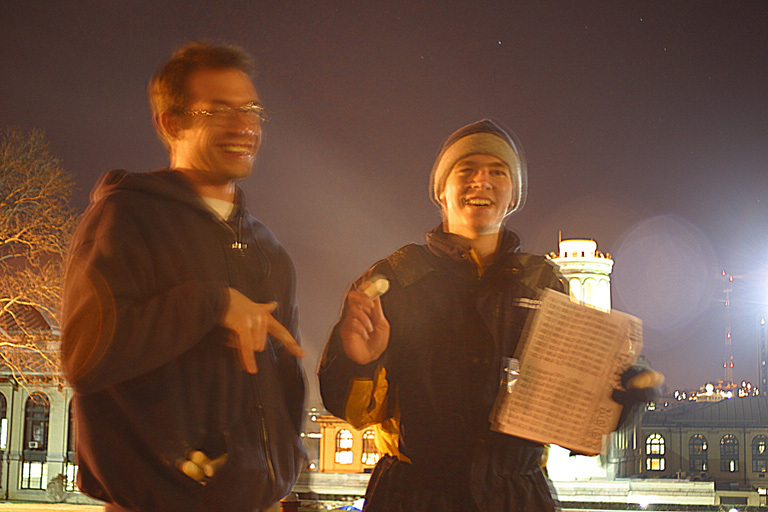 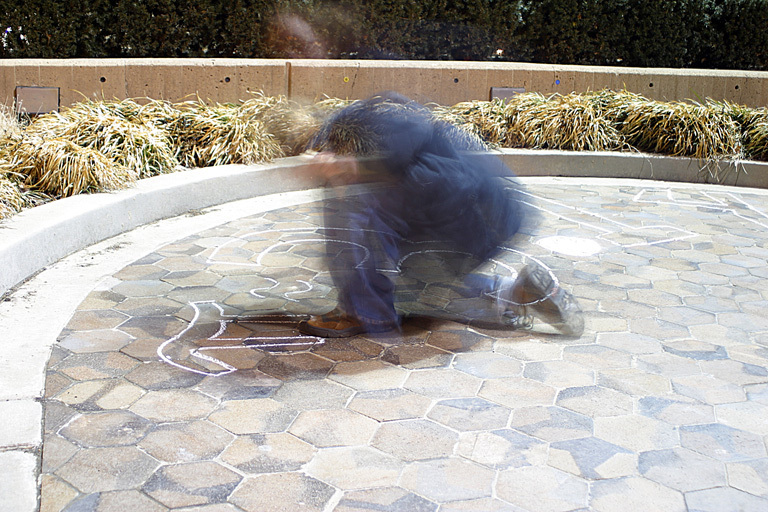 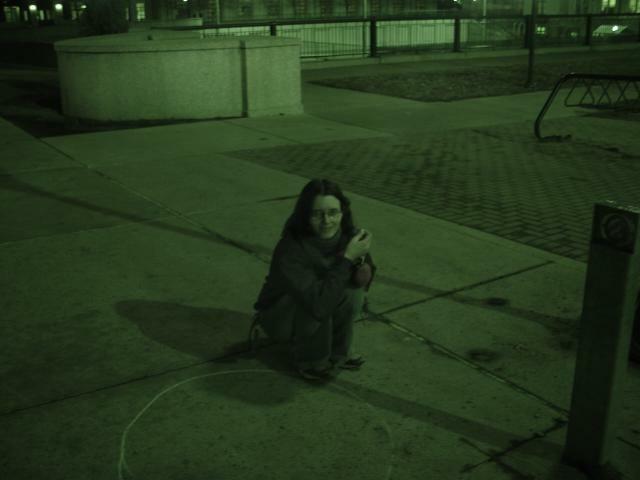 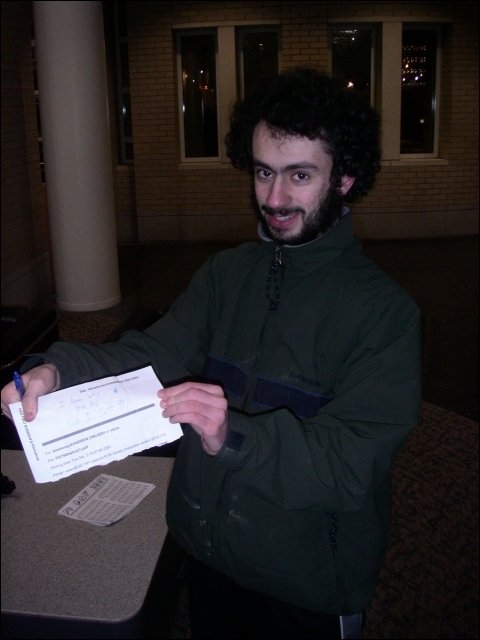 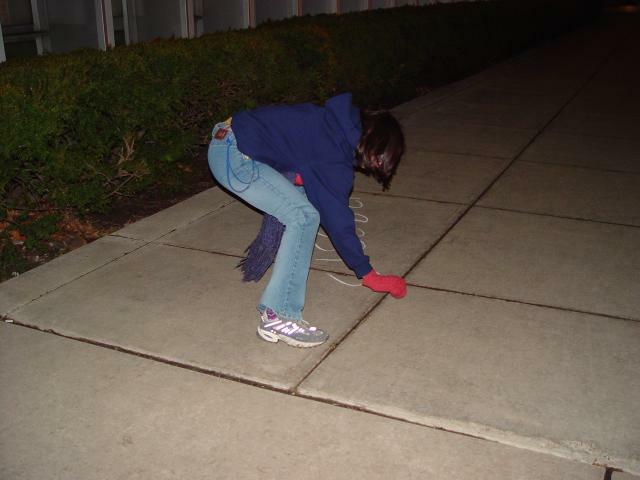 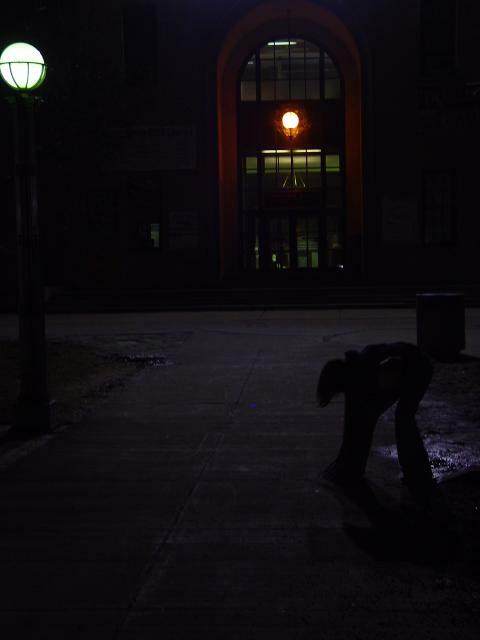 In the morning of March 14 2003, we managed (about 20 of us) to write an incredible 8192 digits of the decimal expansion of pi across the sidewalks on CMU's campus. 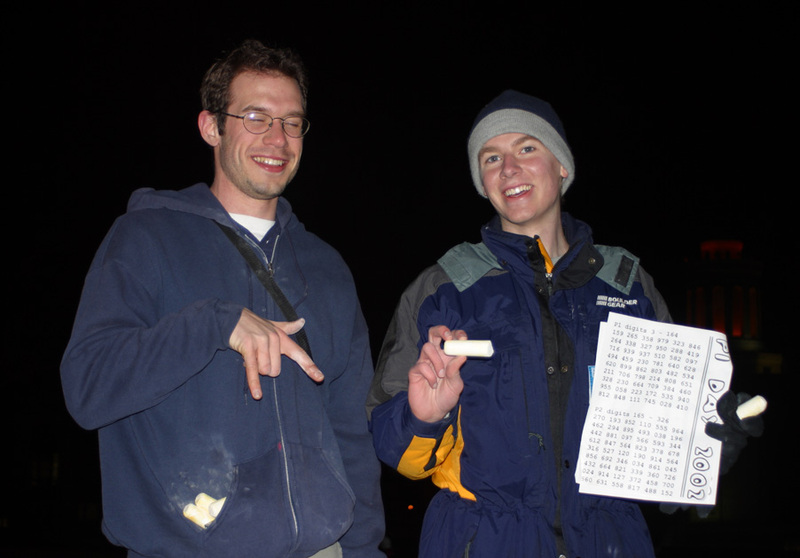 In order to double our total last year (4096), we forwent secondary decorations—no fence, not too much time spent on the finale, photos, etc. 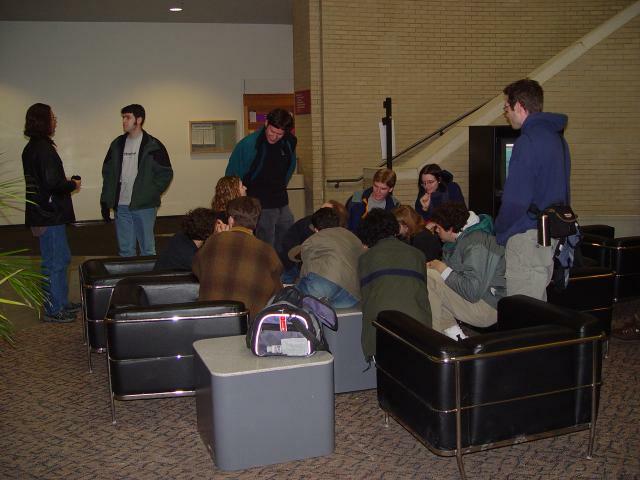 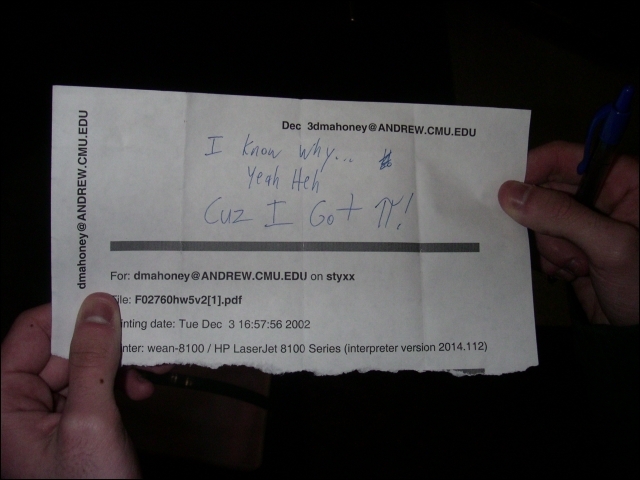 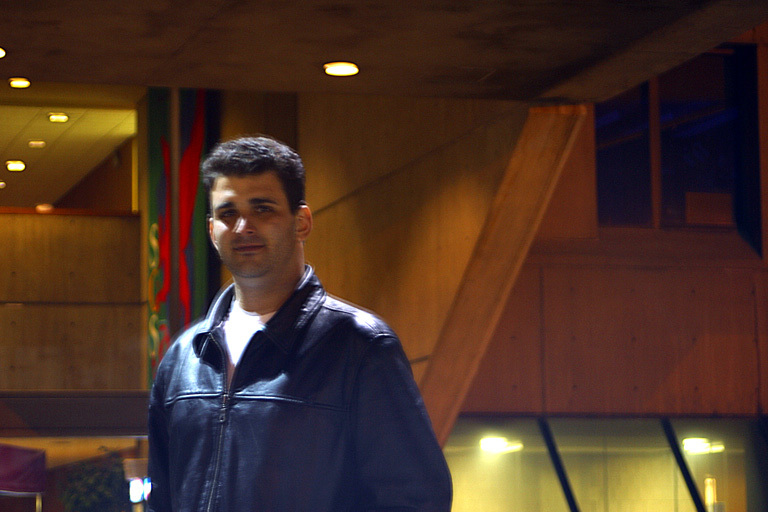 Our route went from Wean Hall around the library and CFA, down to Newell-Simon Hall, up Forbes Avenue, to Resnik, and finished up at the University Center. 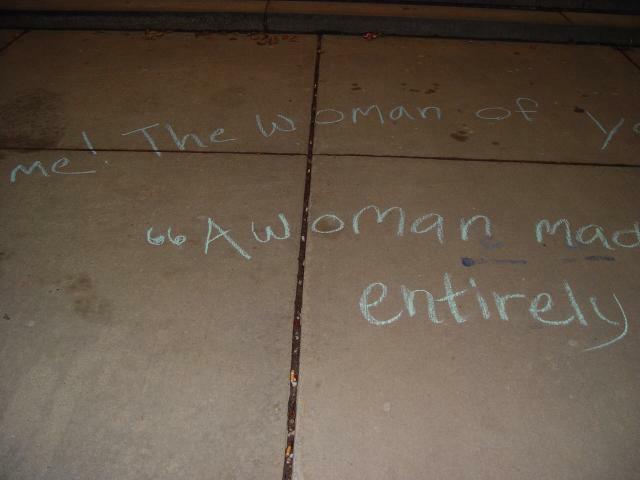 Thanks to everyone who helped! 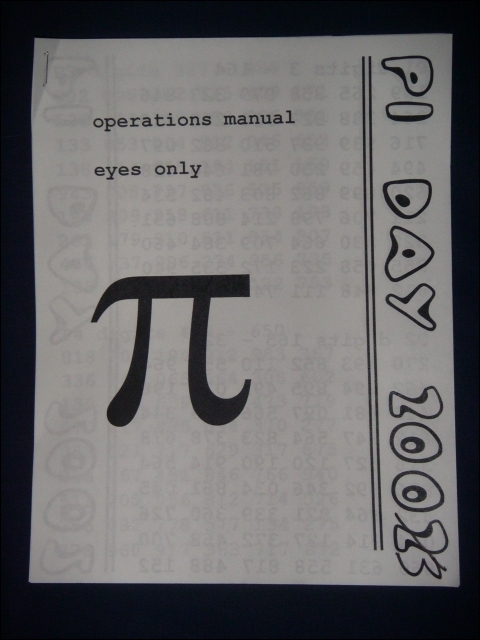 I thought I could prepare everything for this year's pi day in 30 minutes. 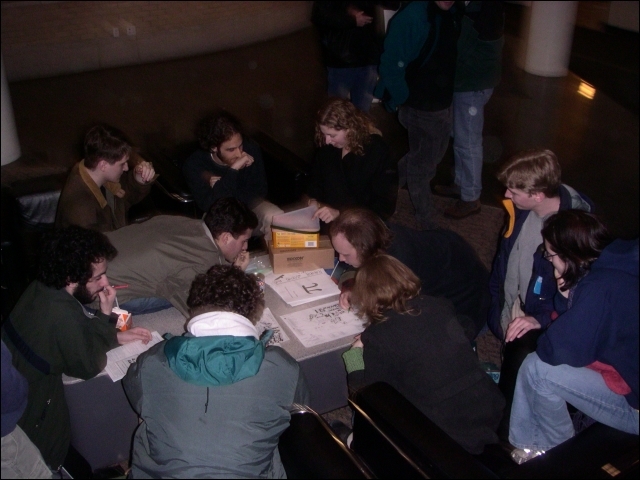 That was pretty stupid, which is why you see lots of leftover 2002 manuals in these photos—the second half of the route used less exciting 2003 manuals. 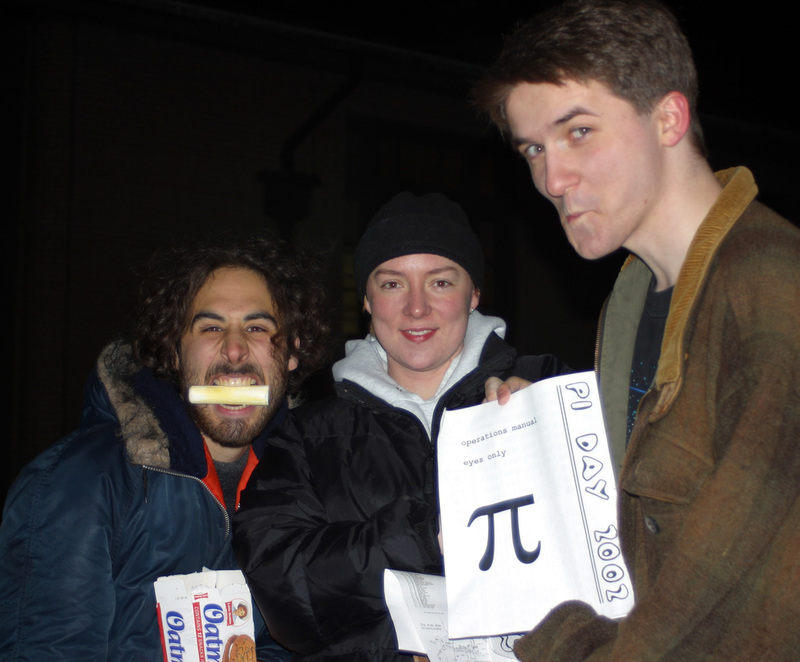 Here are some images from the event. 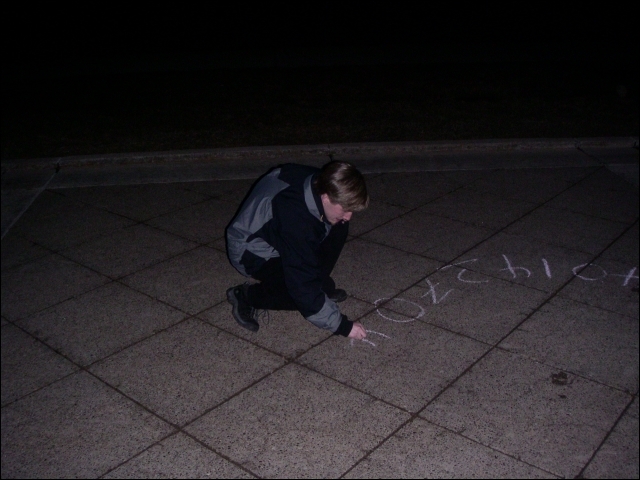 If you have some that aren't posted here, please send them!